Every marketing strategy has common objectives – Generate Quality lead and Max. Conversion. 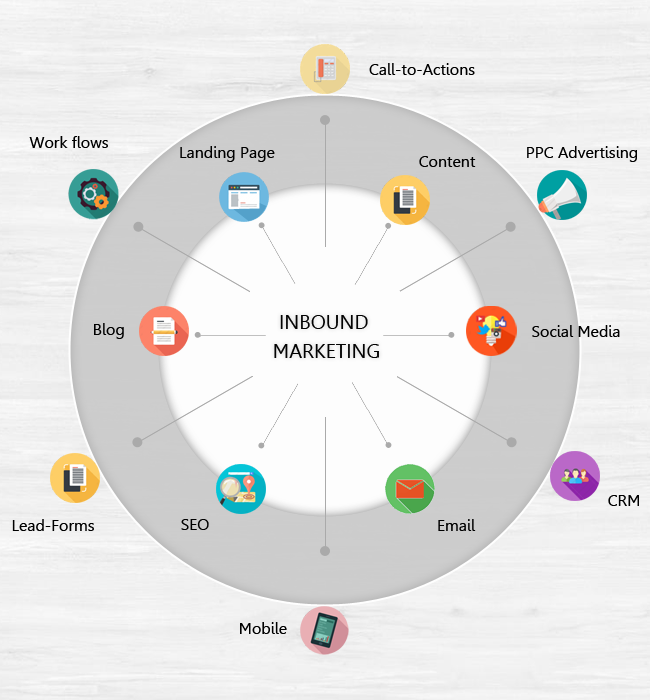 Inbound marketing is the most effective marketing method for achieving these objectives. Inbound marketing is all about attracting leads through valuable content, not interrupting them with direct sales pitch. 54% more leads are generated by inbound tactics than traditional paid marketing. Identify your audience and identify their pains & problems, and come up with solutions. To get more insight how this tactic can help you, I wanna tell you a story of a real estate owner – Abhishek B. He was struggling to get qualified leads. His marketing strategies (traditional, because he was not awre about inbound) didn’t get proper results. Abhishek wasted a lot of money on old outbound method. Then one of his friend suggest him to try inbound marketing for his business. Then he started using it. Firstly he started to identify pains & problems of his target audience. Now he came up with a problem solving and engaging content. He started using social media channels to engage with target audience and followers. Social media is great place to know your audience and their problems. He regularly created useful and interesting content for their readers around business targeted keywords. These ways attracted people to his website and he got a fair traffic now. Now he had to turn these visitors into leads. For this, he built attractive landing pages, sign up forms, lead capturing forms, product videos, proper call to actions and place these on right places on website. These variables helped him to get most interested and qualified leads. Now he got number of leads, its time to nurture these leads. For lead nurturing, email newsletters are most effective method. He started to send newsletters for his subscribers regularly (1 or 2 per week) which contains most popular blog posts, announcement or event news, special offers etc. Email helped him to build a good relationship with his subscribers and leads. And he succeed to turn these leads into potential customers. Now Abhishek has a number of potential and satisfied customers. With inbound marketing, he saved a lot of money and make a great revenue. Inbound marketing tactic is the best way to get new leads, lead nurturing and delight existing customers. Because satisfied customers are the best promoters of any business. 1. Get found with useful content – Articles, blog, SEO, social media etc. 2. Attract mature leads to your website or people – Lead capturing forms, landing pages, CTAs etc. 4. Delight your customers – Newsletters, special offers, events etc. As we discussed above how inbound marketing can be very helpful for you. And email marketing is also one of the best channel of inbound marketing to nurture your leads. If you’re not considering email in your inbound marketing strategy you’re missing a lot of opportunities. Email marketing is all about delivering right content to right people at right time. 75.8% marketers said they were using more email than they were three years ago. Here we’ll see how can you get conversions from your email marketing. UNIVERSAL TRUTH: Email marketing is only as good as the quality of your recipient/subscriber’s list. It’s very simple – There is no email marketing without subscribers! You must grow and update your list regularly to get more out of it. Marketing lists have a tendency to expire at a rate of about 25% a year. So you have to revise your contact list regularly, because people change their id, People leave their companies, get married and change their names – life happens. How to Grow Email List? You should not buy a third party list and don’t interrupt people with irrelevant ads or marketing/promotional messages. Because it negetively affect your deliverability rate and you could get blacklisted or marked as Spam. Here are some white-hat ways to build a powerful email list. 1. Co-host a webinar or event with a niche company and collect email addresses through registration process. 2. Collect visitors emails and other information on landing page. 3. Add signup forms on your website and blog page. 4. Exit intent pop-up forms are one of the most effective way. 5. Use proper calls-to-action and link it to dedicated landing pages. 7. Host a social media contest and collect email ids of participants. 8. Use twitter ad platform to get more subscribers. 9. Give your social followers reason to subscribe to your email list. Place a Call-to-action on your Facebook page to grow your email list. Turn followers into subscribers. 10. Make posts to available download and provide white-papers in order to get redears contact details. How To Know Your List is Good? A bad email list can reduce your conversion rate. To know your list is good you have to ask some questions to yourself. 1. Do Subscribers with this list have a prior relationship with you? If you send them regular newsletters and they take an action (open,click etc. ), then you have a good list. 2. Do you have an opt-in list? If you answer is yes, then it’s a good list. 3. Do you have separate unsubscribe list? It’s a good list, if your answer is yes. 4. Did you purchase the list from third party? It’s a black hat tactic. Never purchase a list from third party. 5. Have you emailed these contacts within last 12 months? If there is some contacts you haven’t send email within last 12 months then remove them from your list or ask them for sign up again. Segmentation is the powerful tactic to send relevant message and increase your conversions. 4 out of 10 subscribers mark email as Spam due to irrelevancy. Brand advocates segmentation – frequent buyers, social media fans etc. Use the data to segment your email list. It will reduce you unsubscribe rate. There are different inbound marketing channels – social media, SEO, content marketing, mobile marketing etc. Don’t look these tools as competitors, but use these as a friend for common business goals – Lead generation, get customers and drive conversions. Be a smart marketer and use the power of these tools together for best results. Email is most powerful when it’s integrated with other marketing strategies. You can Integrate email with social, search, mobile, videos & analytics. Study shows that email strategies that integrate social media into their sends lead to better. results. Add social media buttons – Facebook, Twitter, Google+, Linkedin etc. to your emails to extend the reach. 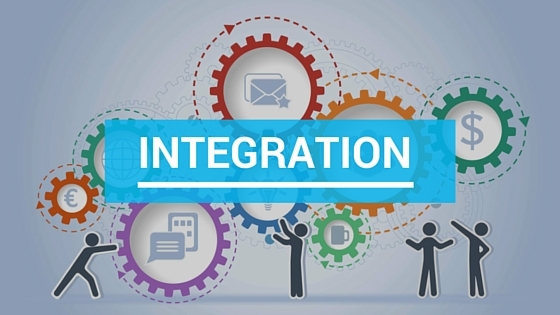 Why should you integrate email and social media? It extend reach of your emails. It allows you to connect with your audience. It gives an opportunity for list building. It allows subscribers to share emails with his friends or followers. Emails with social sharing buttons increase click through rates by 158%. Send targeted emails to subscribers who have mentioned you on social media. Run retargeting ads on Facebook and Twitter for people who click your emails. Many email platform like Sarv, enable you to view your email web version. It helps with SEO. Use your targeted keywords and ensure all images have alt tags. It’s very easy to integrate analytics with your email campaign. You can track your email campaign with Google analytics. How many people clicked through on your email? How many people opened your campaign? 91% of adults have their mobile phone. Mobile have changed the complete marketing landscape. More than 60% of emails are opened on a mobile device. Make your emails mobile responsive. Test campaign to see how they look in different mobile devices. Make sure your CTA buttons & links are easy to click. Use alt tags for images. Optimize landing pages & forms for mobile. People engage more with videos. Adding video to your email campaigns is easy, trackable, and engaging content that drives click throughs. Video increases click-through-rates by 65%. Take your time to create one such video and integrate with your email to get regular click through. Using the word “Video” in an email subject line boost open rate by 19%. When marketers included a video in an email, the click-through rate increased by 200% – 300%. What to Know About Sender Score and Server IP addresses? A server IP address is a series of numbers that uniquely identify the server that’s sending your emails. You should check your IP reputation regularly. IPs use sender reputation to decide whether (or not) they will deliver your email to your subscribers. An email’s deliverability depends largely on the reputation of the IP address that sends it. If your Sender Scores are lower, you may risk being filtered out by some inboxes. Dedicated IP is best for companies that send a lot of email on a regular basis. Its an unique IP address which is completely dedicated to you and offers more control over the email deliverability. You’re the sole influence on your sender reputation, it’s your responsibility to maintain IP reputation. For this you need to be confident that your email list is fully permission-based. This is one IP address that share with multiple companies and send emails for them. It is much more affordable than dedicated IP. In shared IPs, the sender reputation is defined by the actions of all companies using the same IP. You should ask your email service provider company about reputation of their shared IPs to make sure their emails have high deliverability rates. You’ve got the insight about IPs, it’s time to know about sender score. TIP: When you move to a new IP address, don’t send emails to your whole list all at once. If you’re sitting around a meeting room with your management, trying to figure out how to catch mature leads and potential clients, drive sales, generate more conversions or just “stay top-of-mind” for your target audience, you can suggest there’s a solution that can help to solve all these problems at once: an email newsletter! Email is still one of the best channels in order to generate return on marketing investment. Email marketing can be maximized to convert traffic effectively. Integrating such with other marketing channels will go a long way to bring out the best features and functionality of the program. Apart from crafting compelling copies and utilizing valuable images, it becomes pretty necessary integrating the platform with social media, videos, images, and mobile to generate and keep leads. Its pretty an interesting article. Good points have been shared and it remains a fact that email is still one of the best ways to attract return on investment! It’s good to see you again. I hope all is well and fantastic. 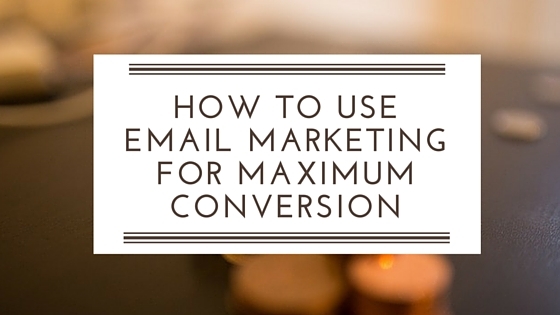 Email will generate more conversion for you if you integrate it with other marketing channels. I am glad to know that you liked this article. Thanks for sharing your views.